I do not usually enjoy movies that involve graphic and senseless violence, but you must take context into account in this movie, understanding that Spartans raised their male children (those that they allowed to live) for one purpose and one purpose only; to be warriors willing to give their lives to protect the city-state of Sparta. The brutality of the movie is, therefore, a necessary part of the story. The cinematography, using live-action, CG and stop-action, is done with awesome results. The story absorbs you emotionally on several levels as you pull for the puny force of 300 men pit against the Persian army of hundreds of thousands. Although much poetic license is taken in the telling, the story is based in historical fact and much research was obviously done and incorporated into the script. The acting of Butler and Headey was especially good. The only thing that bothered me a little about this film was what I think was an over-use of “fantasy” creatures similar to the fantasy-world of The Lord of the Rings. I understand that the writers were doing this in an allegorical way and that "mythical" creatures were a strong belief for these people, but I just felt it was overdone and gave the film too much of a sci-fi/fantasy feel for what is in reality a historical event. Overall, I thoroughly enjoyed this and recommend it highly. I've only seen a little bit of this one on HBO. I may watch all of it someday. I don't get whats so amazing about the. I hate how slo-mo is over-used in general and this is a prime example. If you're a director and your name doesn't end in "Kurosawa" or "Peckinpah", then you really should think a lot more before using it! But I did enjoy the film. ...Although much poetic license is taken in the telling, the story is based in historical fact and much research was obviously done and incorporated into the script. The acting of Butler and Headey was especially good. Hal, did you know that this was based on a comic by Frank Miller? How much research he actually did is often questioned! But he told the story as he would any comic about superheroes. It's over the top and broad, relating the legend rather than the fact. Hence, fantasy monsters do have their part. I enjoyed the movie immensely but I have to admit the constant slo-mo was getting to be a bit much. It kind of takes the edge off the intensity of a grand scale battle scene such as that. Watch a 300 battle scene and then watch one of the sustained battle sequences from Braveheart... you'll see what I mean. I did not know that it was based on a comic by Frank Miller until after I watched the movie and watched some of the Special Features. That does explain the "creatures", but I would have preferred it to be more realistic. I still enjoyed it very much. Has anyone seen the show 'Spartacus: Blood and Sand'? It's hilarious, it's almost an carbon copy of 300, complete with overuse of slow motion. Yet where Zack Snyder manages to make the slow motion look at least semi-cool, in Spartacus it just looks ridiculous, and they use it what feels like every couple of minutes. It really made me laugh at their attempt of copying his work. I coule be mistaken, but I think the slo-mo moments were also meant to emphasize the comic book origins of the film, "freezing" certain moments to make them look like the comic book panel. I can see how one can feel it toget a bit tiring, but didn't mind it too much myself. If you view it from the perspective of one of the Spartans on the field of Plataea, listening to the tale that Dilios is telling, then his descriptions of the enemy forces, you would probably imagine them to be bigger than they actually are. If you'd never seen a Rhino before and you were listening to someone describe it would your mental picture be closer to how you know a Rhino looks or a Triceratops? 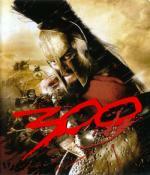 I really did like 300 and I get goosebumps when listening to David Wenham(who has an excellent voice IMHO) at the end of the film. It's not the slomo I have an issue with Spartacus:B&S. It's the computer generated blood. Being a person who, even when I was a child, hated comic books, I found this film ridiculous. But I understand those who have a penchant for this kind of film making, enjoying it. It's in virtually all of the arena fights, such as when Spartacus and Crixus face Theocolias, the blood spurts look less realistic than the battle scenes from the documentary series Battles B.C. (which is very good and informative. I guess that may be the reason they chose to go for digital blood, as they can easily remove it for countries where large amounts of blood on TV are an issue.